Montgomery County, Virginia - The Blacksburg-Christiansburg-Radford metropolitan statistical area (MSA) has been named a “Top Metro” for 2014 by Site Selection magazine. 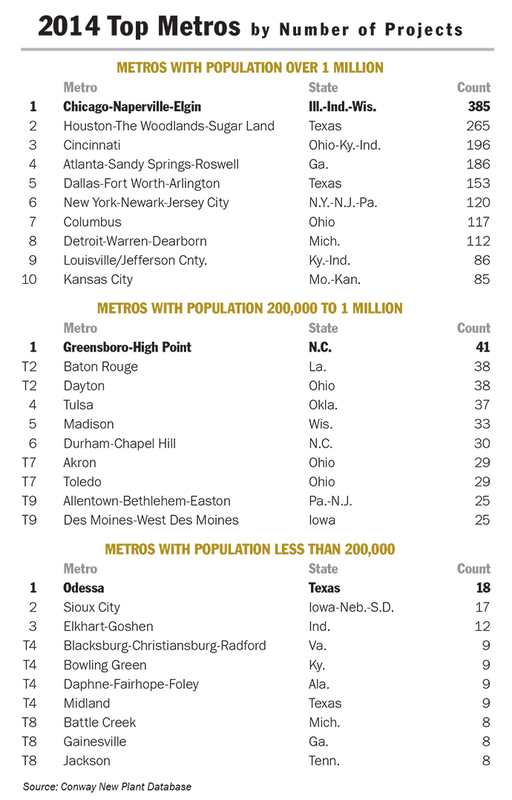 Among 132 metro areas with populations less than 200,000, the Blacksburg-Christiansburg-Radford MSA ranked No. 4 (tie) nationally with nine new or expanding corporate facility announcements in 2014. The Blacksburg-Christiansburg-Radford MSA, also known as the New River Valley (NRV), has a population of over 180,000 and encompasses the counties of Montgomery, Pulaski, Giles, and Floyd. The area is designated an MSA by the U.S. Office of Management and Budget due to its high degree of economic and social integration. In 2014, nine businesses announced plans to invest $119 million and create 535 new jobs in the NRV, according to the Virginia Economic Development Partnership and Montgomery County, VA Economic Development Department. The industry showing the most growth was manufacturing which included projects across Montgomery and Pulaski counties.